Hey guys! It’s been a while…but i have a great excuse for it! We’ve been very busy expanding our product assortment and there are some really exciting things just a bit further down the road. Our holders have now became a quality standard in its category and we have build ourselves a name that speaks quality, comfort and striking appearance. While developing our brand even further, it is cruical for us to find new challanges that will spark our team’s creative spirit. 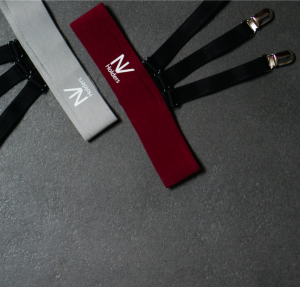 It’s no secret that an increasing number of soldiers are using our holders to meet the greatest standards of being neat. To show respect for this and for what they do, we have decided to launch a special piece, that could be worn both by those in the forces and also by those, who have a soldier mindset in their everyday life. For a wine to be burgundy red, it has to be made entirely (100 %) from pinot noir grapes of Eastern France. They are thought to be the best kind of wine your money can buy and we believe S-Holder of this colour is the one to wear only for the most special occasions. We all know somebody who enjoys keeping their head down, hustling 24/7. They love being left a lone, letting the achievements tell their story. At NV holders, we believe these kind of people deserve the colour of a wolf. Wear it with pride and never let anything hold you back. To show how much appreciation we truly possess for every single one of our customers, we have decided to offer you these select pieces at a 40% discount. How epic is that? 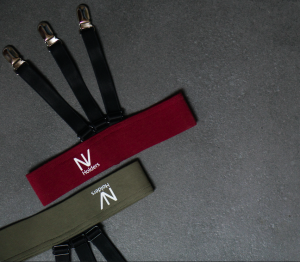 Make sure you grab your pair of NV holders, because they are expected to be gone soon after the launch! Which colour are you choosing, I already have all three of’em and I honestly can’t decide which one I like the most. And until next time, stay fresh and neat!